Due to her dyslexia, Suzanne Somers painted one shoe red and the other black when performing in a Las Vegas show to help her learn the choreography of the dance numbers. She later founded the Suzanne Somers Institute for the Effects of Addictions on Families in Palm Springs, California and won the Humanitarian Award from the National Council on Alcoholism in 1991. Jenilee Harrison has been a spokeswoman in a large number of infomercials. Richard Kline has been married twice and has one child. 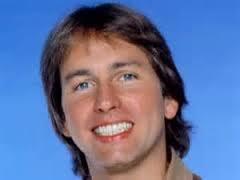 John Ritter had one brother, Tom, who was born in 1947 with cerebral palsy. Ritter later helped raise money for the disease.